A taco bar is an enjoyable and relatively inexpensive way to feed a large group of people, making it ideal for parties, family gatherings, and even weddings! After all, who doesn’t love tacos? They’re totally customizable to suit anybody’s taste buds. Even vegetarians can enjoy a tofu taco loaded with peppers and onions. Read on to explore some tips and unique ideas on how to set up a taco bar. 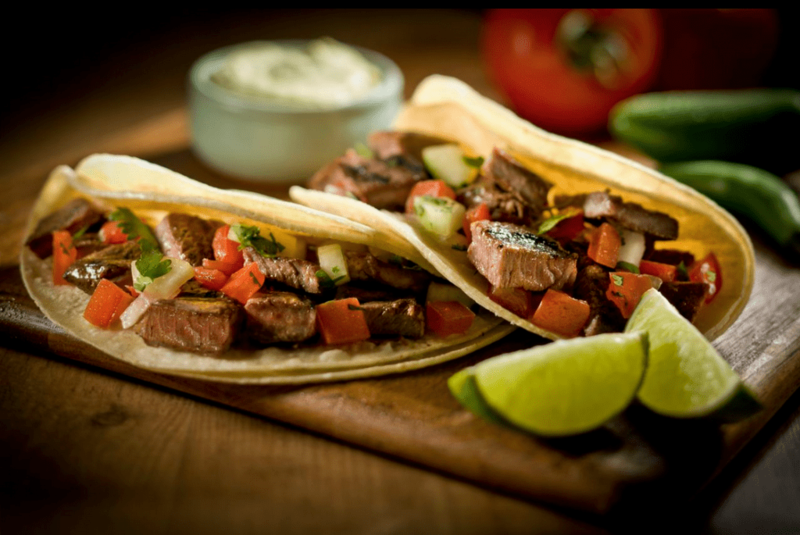 When most people think of tacos, they think ground beef, spicy and smoky seasonings, peppers, and salsa. However, a taco can be so much more than that, so get a little creative with the toppings you set out! In addition to ground beef, make sure you offer ground turkey (for those trying to eat a little healthier), carne asada, shredded chicken, or even shredded pork. In terms of toppings, why not sweeten the deal by offering some pico de gallo, guacamole and tomatillo salsa? While you can probably get away with setting out some warm flour tortillas and hard shells, there are so many other options that your guests will appreciate. For example, make sure you offer both flour and corn tortillas, as some people have a preference one way or the other. Furthermore, for the health nuts in attendance, it’s also a good idea to set out some lettuce wraps and whole wheat tortillas. Some people may prefer to eat their taco naked — without a shell, that is! If that’s the case, be sure to set out some bowls or consider setting out avocado, which can be filled with toppings as well. One of the things many people find out the hard way when it comes to setting up a taco bar for parties is that chopping up all those ingredients for toppings is very time consuming. As such, it’s a good idea to recruit some help from a few friends, if possible, to assist you in chopping duties before the party. Be sure to give yourself plenty of time to prepare the ingredients as well; after all, there will be a lot of them. You can keep them fresh by storing them in air-tight containers or zip-lock bags and placing them in your fridge until it’s time for the party to begin. Setting up a taco bar can be a lot of fun, not only for you but for your guests as well. You can get so creative with a taco bar offering, and the possibilities are truly endless. Just be sure to keep these tips in mind as you prepare for your party; they’ll be sure to save you a great deal of time and ensure that your guests enjoy a flavorful meal at your event! Don’t have time to set up your own ingredients? Try our Macayo’s Taco Platter! Our platter is complete with all the freshest taco ingredients you need for a delicious and convenient taco fiesta.